Yesterday was 9/11+7. For some unknown reason it was a hard day for me. I experienced feelings similar to those that I experience on Memorial day. 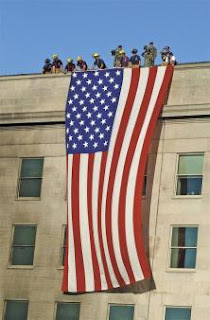 As far as I know, Unlike with my military service, I did not have anyone that I was close to lost that day. Never-the-less I was preoccupied with it all day. 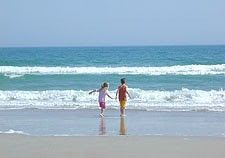 I have also been thinking about our vacation at the beach. It is hard to believe that it was only two months ago. I want to find ways to make it even more meaningful to me next year. In addition to letterboxing plans, I want to do more family things. 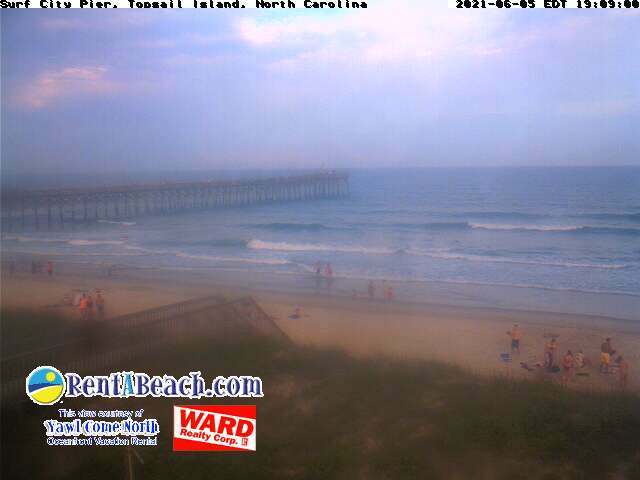 I recently found a web cam which is located on the Surf City Pier. Also This on U-tube. I Think back many years to when our eldest son spent a day (without our knowledge) slogging through the mud flats on the sound side of one of the islands collecting crabs. At times he sunk in up to his crotch and he lost his shoes in the muck, we are lucky that he made it back alive. Needless to say we did have crabs for dinner that night. Thank you Lord for bringing him home safely. A couple of days ago I went shopping for a few items on the other side of town, I decided that I would check for letterboxes in the area I would be traveling in. Finding one that seemed to be convenient I looked for it. As it turned out there was an public event very close by which made it difficult to get close. I was finally able to zoom in on it and discovered it to be an easy find. Way too easy. Some critter had drug it several feet from it's hiding place and had chewed a hole in the baggy around it. This is the second time in the last few weeks that I have found a hole chewed in the baggy. Maybe it is just something that occurs in the fall when they are gathering for the winter. I have identified the location of at least 3 and possible 6 mystery letterboxes. I had intended to look for them this morning but it is raining pretty hard, I don't think today will be the day for them. I will have to keep them for another day. Perhaps I will work on making boxes and stamps the rest of the day. Tonight Donna wants to go to another Indians Game. The weather will be lousy... Oh well we will see what happens .